How Important is Boleto Bancário? Boleto bancário is an official Brazilian payment method regulated by the Central Bank of Brazil. It is a push payment system, which was launched in 1993 and today generates 3.7 billion transactions per year. Accounting for around 25% of all online payment transactions, it is a must for doing business in Brazil. Boleto bancário is popular with enterprises as well as with consumers who don’t own a credit card or just prefer the security of offline or cash payments. For 55 million unbanked adults in Brazil boleto bancário is the only way to pay for goods or services purchased online. How Does the Boleto Bancário System Work? The payment process for boleto bancário transactions is similar to wire transfer or cash payment methods. 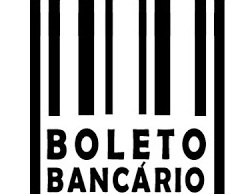 Customers are provided with a prefilled boleto bancário bank slip. At this point, the customer has the option of printing the form and paying it physically or paying electronically. Payment can be made with cash at any bank branch or at authorized processors such as drugstores, supermarkets and post offices. The electronic payment can be made at any of the more than 48,000 ATMs in Brazil, through internet banking or mobile banking apps, which are largely used in the country. Boleto bancário payment processing with a local partner and cannot be directly contracted with a bank from abroad. Generally, boletos are confirmed with a delay of two to three business days. PagBrasil, however, offers Boleto Express and Boleto Flash®. Both are enhanced forms of the popular boleto bancário, providing an accelerated payment confirmation. The Brazilian bank system confirms paid boletos on the next business day from Tuesday to Saturday. With Boleto Express, PagBrasil automatically provides a payment confirmation to its merchants via API until 10am Brazilian time. With PagBrasil’s unique Boleto Flash® technology, paid boletos can be confirmed within two hours on business days. The boleto system itself has no refund function, and banks and many payment service providers don’t offer a solution either. With Boleto Express and Boleto Flash™, PagBrasil offers automated refunds that can easily be processed via API or web portal. The funds are transferred on the same day, so that the buyer always receives the credit to his/her bank account within 24 hours. PagBrasil has developed an enhanced mobile version of its boleto. This responsive boleto facilitates payments via mobile phones and tablets. The buyer can simply copy the data and paste it into the corresponding field of the bank app and pay it via online banking. In addition, rotating the device is enough to preview and scan the boleto’s barcode. Doing so, it is possible to carry out a payment at any ATM or self-service banking terminal with the corresponding technology to read mobile phone screens. As part of FEBRABAN’s project, known as Nova Plataforma de Cobrança (New Billing Platform), from 2017 onwards the use of registered boletos bancários will gradually become mandatory, depending on the transaction amount. The change is aimed at improving the security of boleto transactions, as well as increasing the level of transparency in the Brazilian banking system. Merchants will benefit from the possibility to automatically file an official objection for unpaid boletos, among other improvements that include mitigation for fines and late payment calculation errors, with no need for a duplicate. For buyers, on the other hand, the main advantages are seamless payment experience when registered in the DDA – Débito Direto Autorizado (Authorized Direct Debit) system, which shows the pending boletos directly in their account, and the possibility of paying their boleto at any bank, even after its expiration date. All boletos bancários issued by PagBrasil are already registered boletos, regardless of the transaction amount. Often the only way to charge corporate or governmental customers. Provides access to a larger pool of potential consumers by tapping into non-credit card holders or those who prefer paying with cash. Many Brazilian shoppers, wary of fraud risk, prefer boleto bancário as a secure payment method. Low fraud and no chargeback risk. Usually helps to significantly increase online store conversion rates. One API for all payment methods. Contact us to find out more about boleto bancário and PagBrasil’s services.